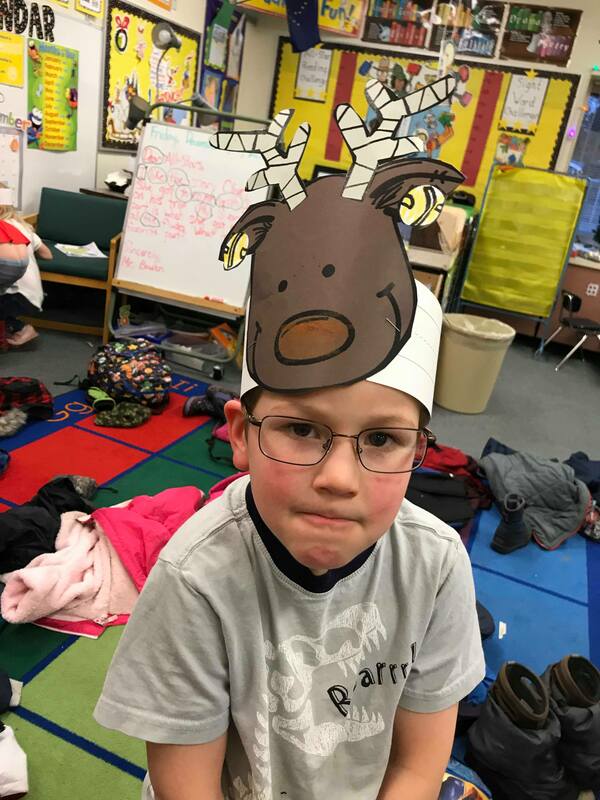 As we continued to learn about caribou we also read other fiction stories including Olive The Other Reindeer. 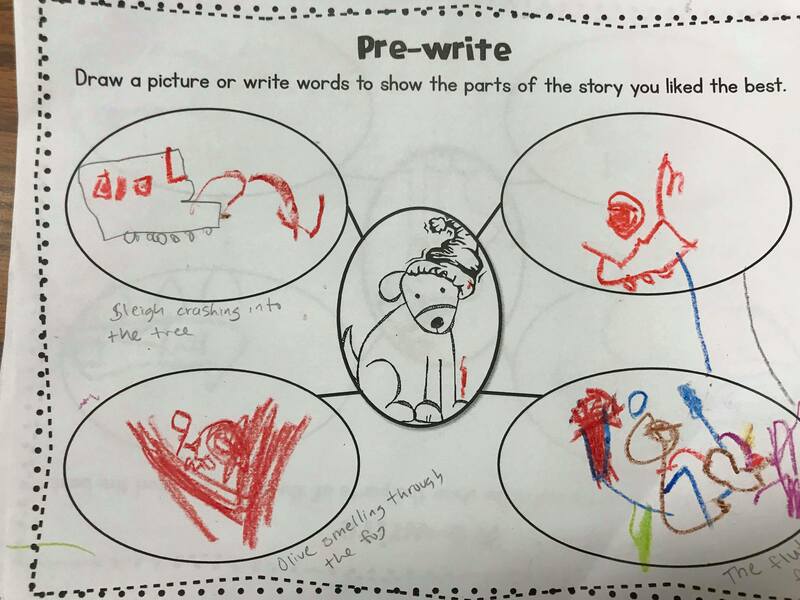 We filled out a bubble map that illustrated four ideas of our favorite parts of the story. 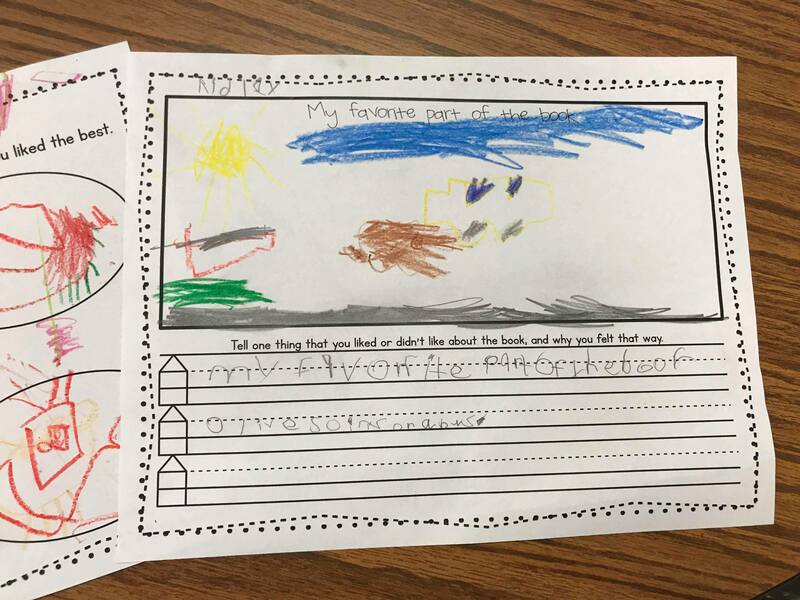 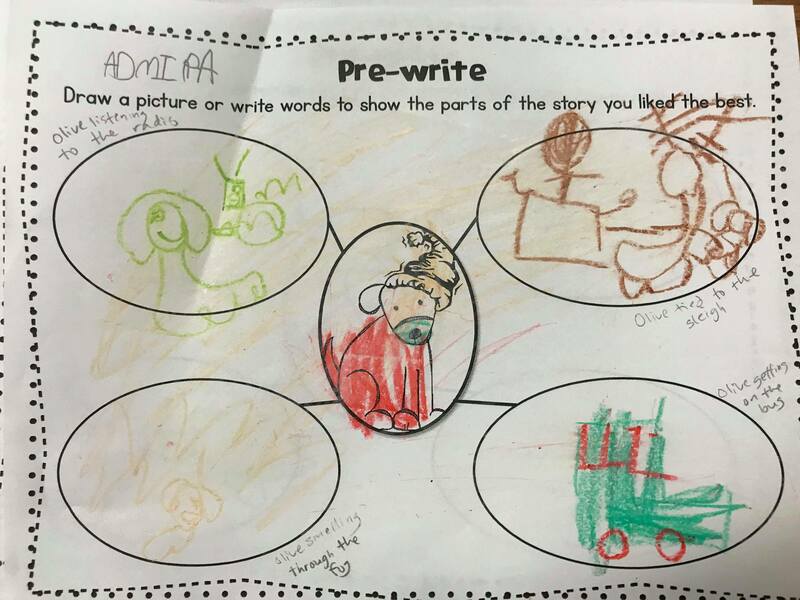 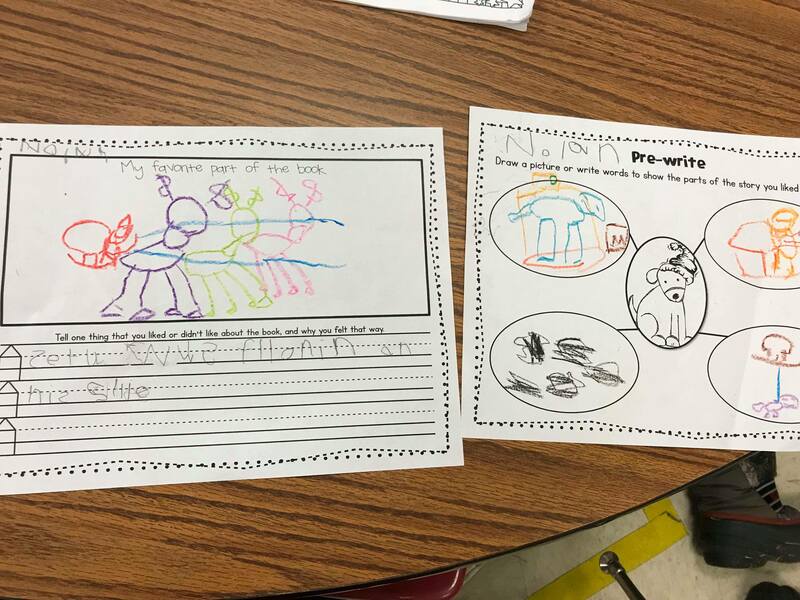 Then students chose one part of the story that they liked the best and wrote about it. 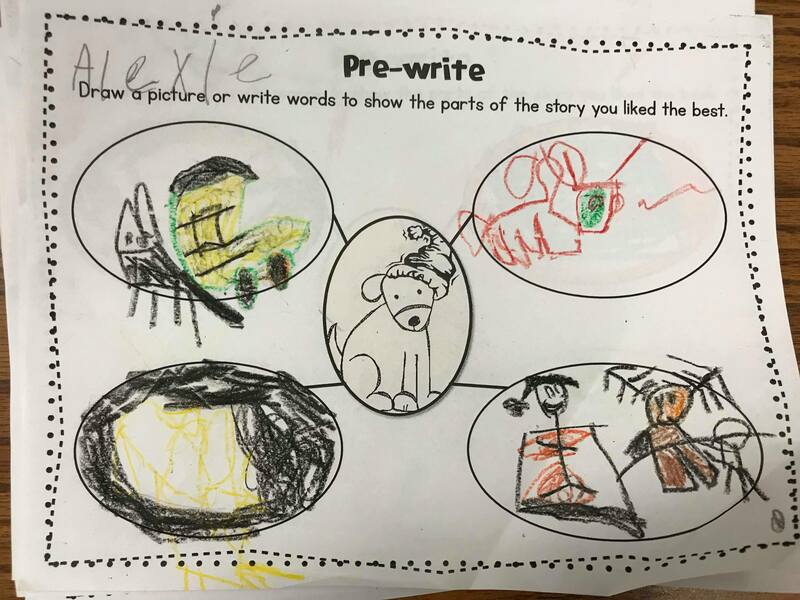 You can get the writing activity here. 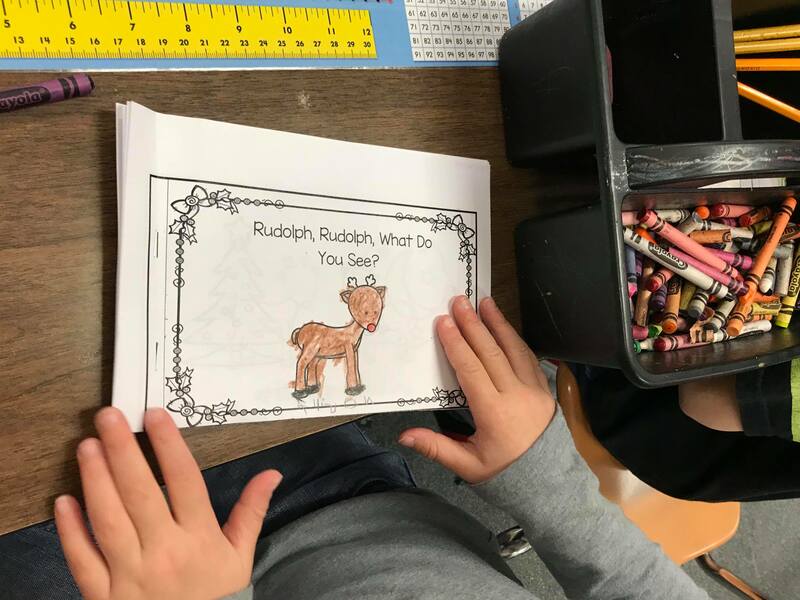 At the end of our unit students partner read a Rudolph emergent reader that talked about things that Rudolph saw. 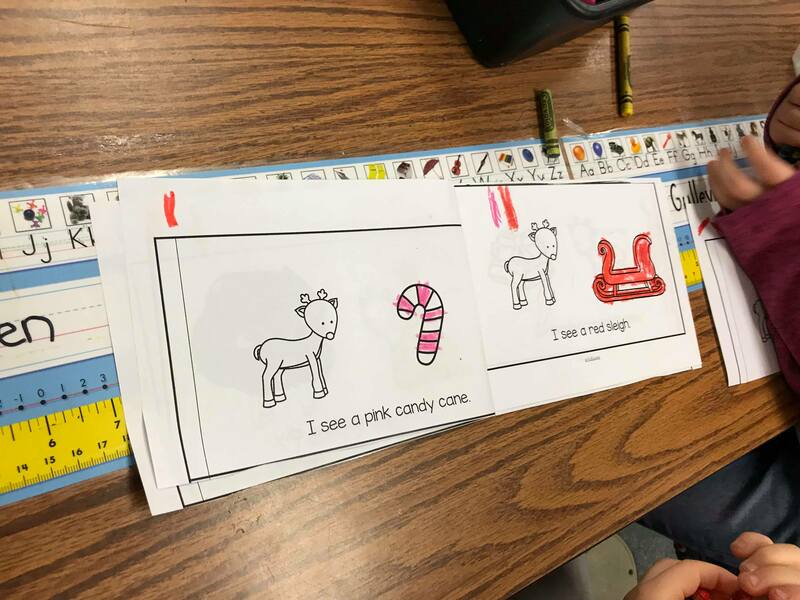 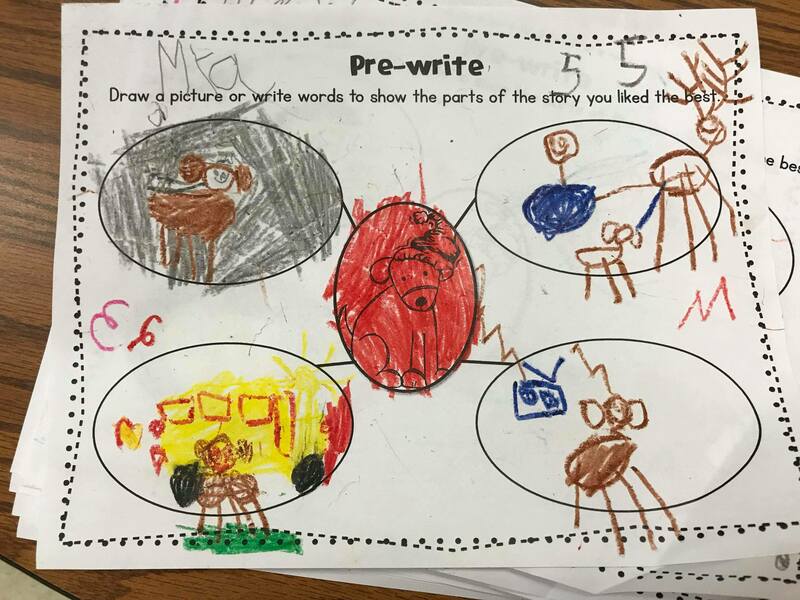 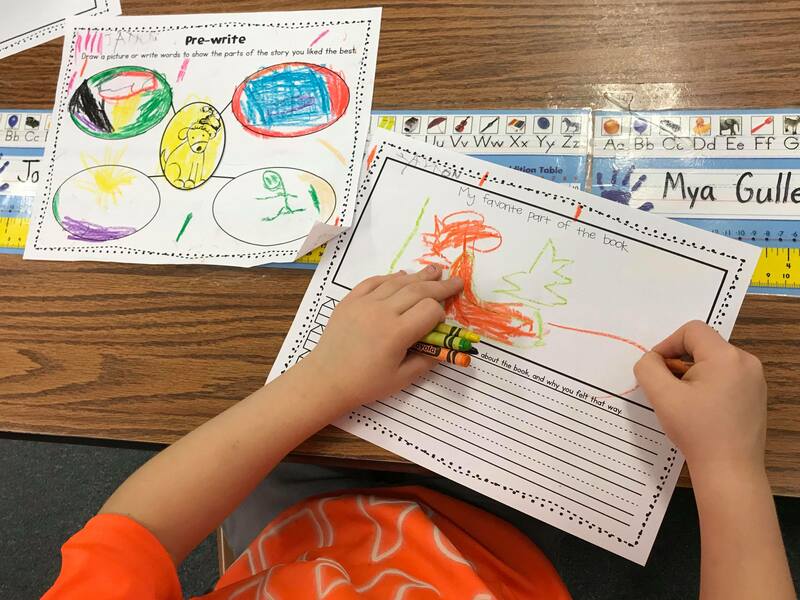 Students colored the pictures based on the color words that were in the books. 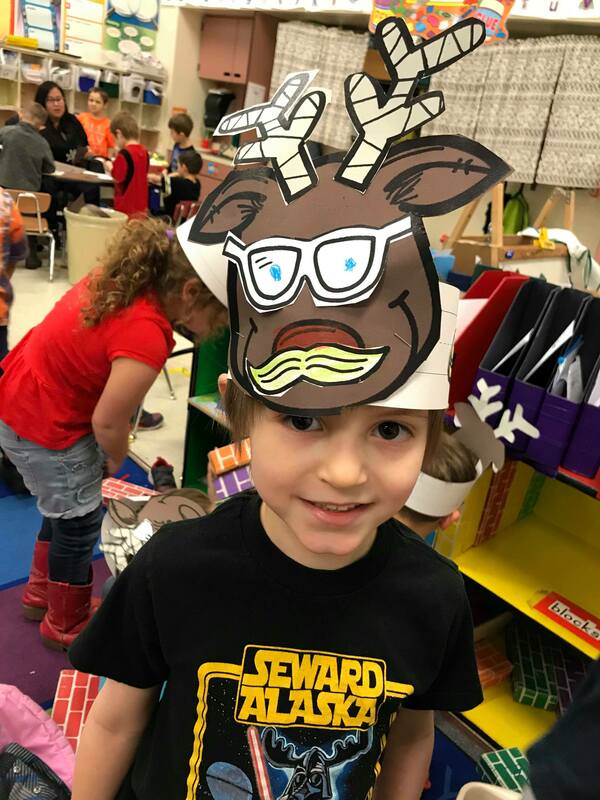 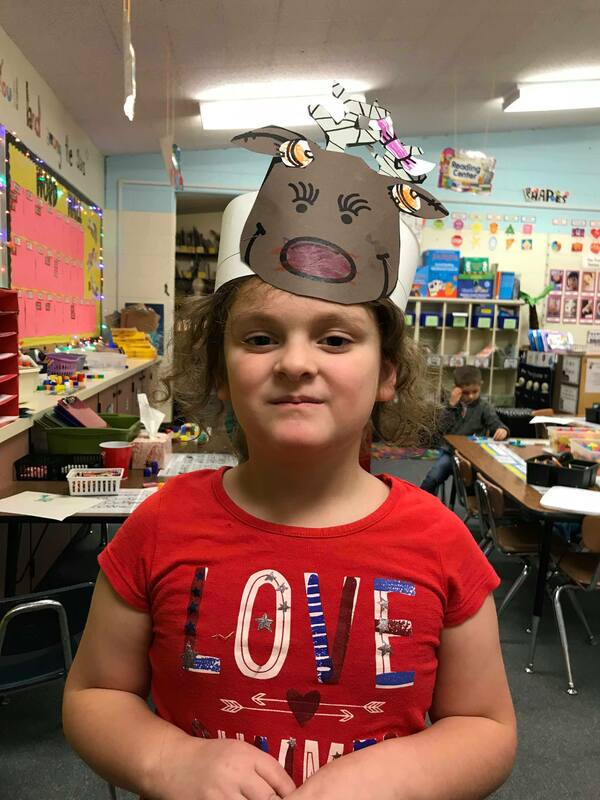 They also made reindeer headbands. 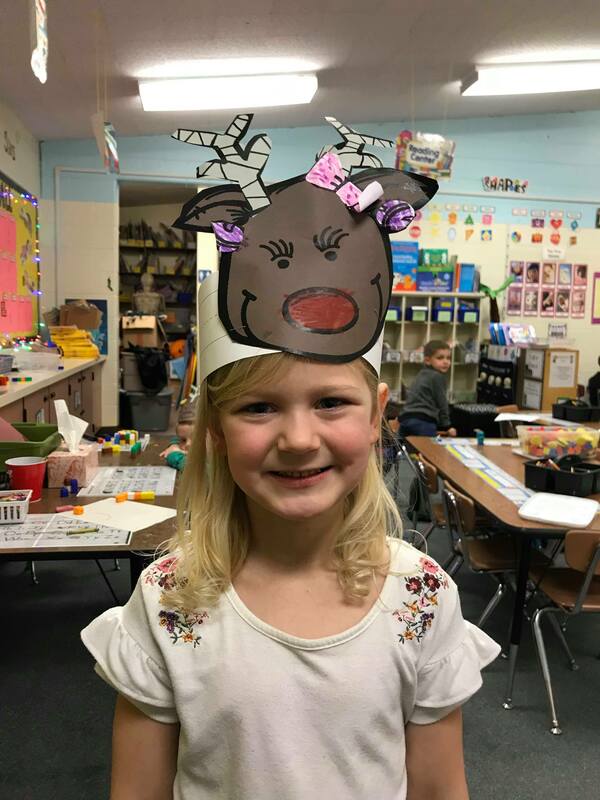 Headbands can be found here and emergent reader books can be found here.